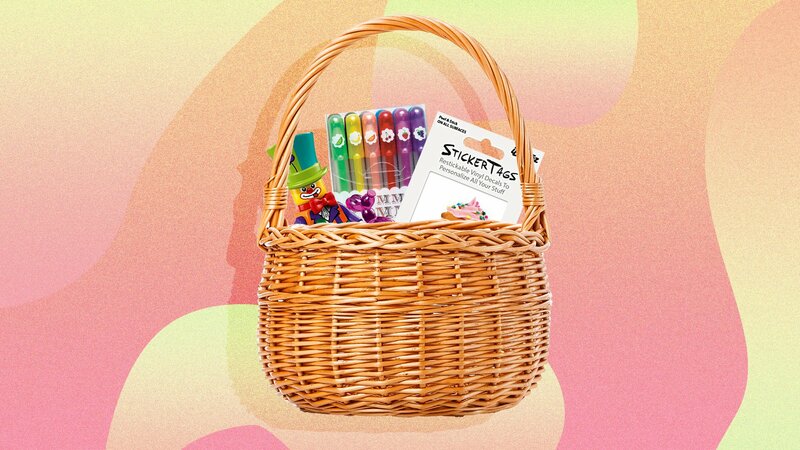 To fill your basket, the key is to choose a few items that you know your kids, whatever age they are, will actually like — and use. And if they’re too old (or cool) to believe in the Easter Bunny, you’ll get some serious credit. You don’t have to spend a fortune, and you can always bulk out the basket with that fake grass stuff. Remember, your basket doesn’t have to be a Hollywood-movie style hamper that requires two people to transport it. Hello Kitty might help get your kids off their screens Easter weekend and into a classic card game. These little guys and gals are tiny enough to fit into even the most compact of Easter Baskets, and if your kid doesn’t like clowns, the options are endless. With every color your kid could possibly want, these face and bodypaint crayons are suitable for even the most sensitive skin. These magic capsules unfold into sponge toy characters when you drop them into warm water, with a range of themes available, from bugs to fairy tales. Every selfie queen or king knows the only way to get the best Easter pics is to use a PopSocket, a collapsible grip and stand that’s suitable for all phones and tablets.